Former British PM John Major Says Murdoch Tried To Influence Policy : The Two-Way Major said the media mogul insinuated that he might lose his empire's support if he didn't change his policy toward the European Union. Former British Prime Minister John Major arrives to give evidence at the Leveson Inquiry into media ethics at the High Court in London, on Tuesday. 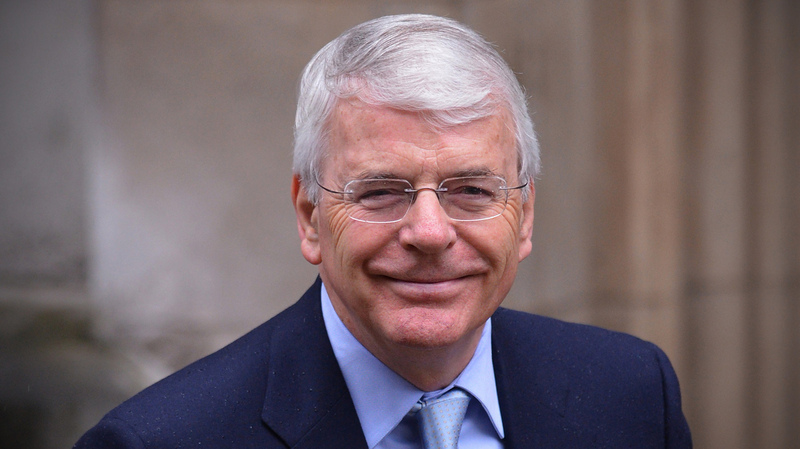 Former British Prime Minister John Major told an inquiry that Rupert Murdoch, the media mogul, tried to influence the country's politics during a private dinner in 1997. Major said that Murdoch even hinted that the Prime Minister could lose his media empire's support if he didn't change the way he was dealing with the European Union. "Major was testifying before Britain's inquiry into media ethics, which was set up after it emerged that reporters at a major Murdoch tabloid had hacked into the voicemails of people in the news. "The scandal has since mushroomed, engulfing political leaders criticized as having too-cozy links with the media tycoon. "Major, the Conservative Party premier from 1990 to 1997, said Murdoch had made his views clear at a private dinner in February 1997, three months before the general election. The ex-premier said Murdoch had not directly told Major to change his policies, but 'made it clear that he disliked my European policies which he wished me to change.'" Yesterday, another former prime minister aimed at Murdoch. Prime Minister Gordon Brown told the inquiry that Murdoch had personally attacked him and purposefully undermined the war in Afghanistan. "In an often bitter attack on the Murdoch press in testimony to Britain's media ethics inquiry, Brown directly contradicted Murdoch's claim that the then-prime minister had made an abusive phone call to the media mogul in 2009," the AP reported. "Murdoch told the inquiry last month that Brown had vowed to 'make war on your company' after The Sun switched its support to the Conservatives." Brown said that never happened and added that the spurious coverage of Afghanistan had done "huge damage" to the war effort.